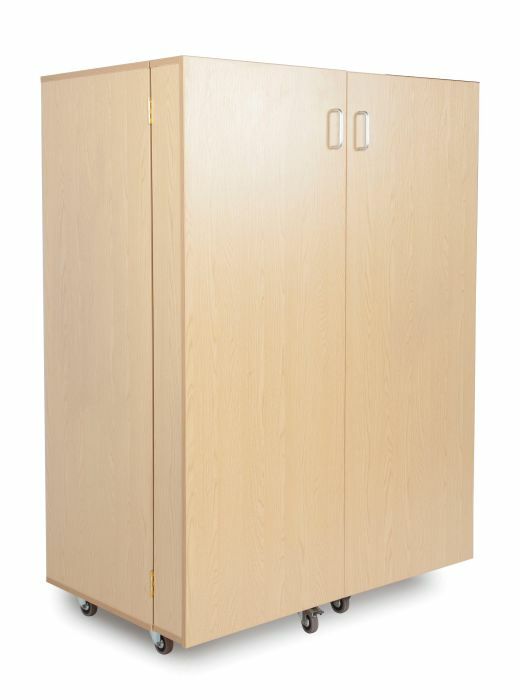 Convenient and colourful cabinet for storing role-playing costumes and props. 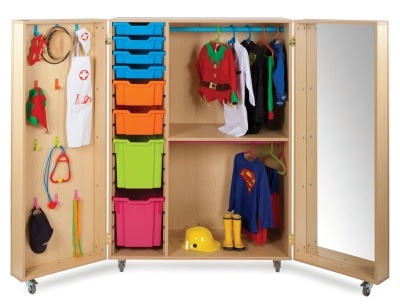 Includes a full-length mirror on the inside of one door and 12 coloured hooks on the other. 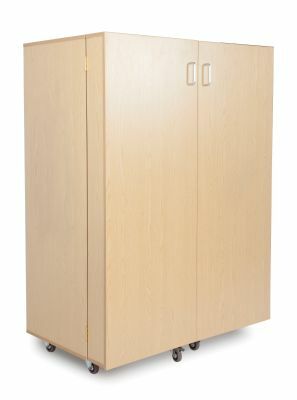 Also includes Gratnell trays as shown and garment rails.